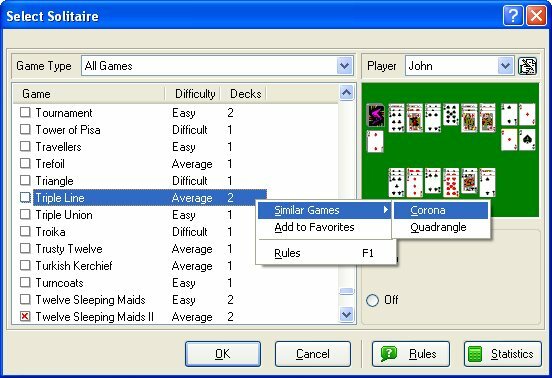 BVS Solitaire Collection: How to find similar games in "Game | Select Solitaire" dialog. 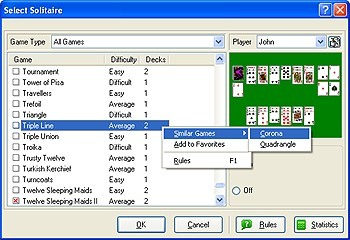 "Game | Select Solitaire" dialog. You can use right-click context menu on a game name to find similar games.